Hear me out... Himalayan Salt Lamps aren't the answer that will magically solve any and all of your thoughts...BUT, they can provide different comforting thoughts and feeling that may help to alleviate some of those feelings and questions that you've been having. Wondering if a Himalayan Salt lamp is right for you? Keep reading. So, do you need a Himalayan Salt Lamp in your life? 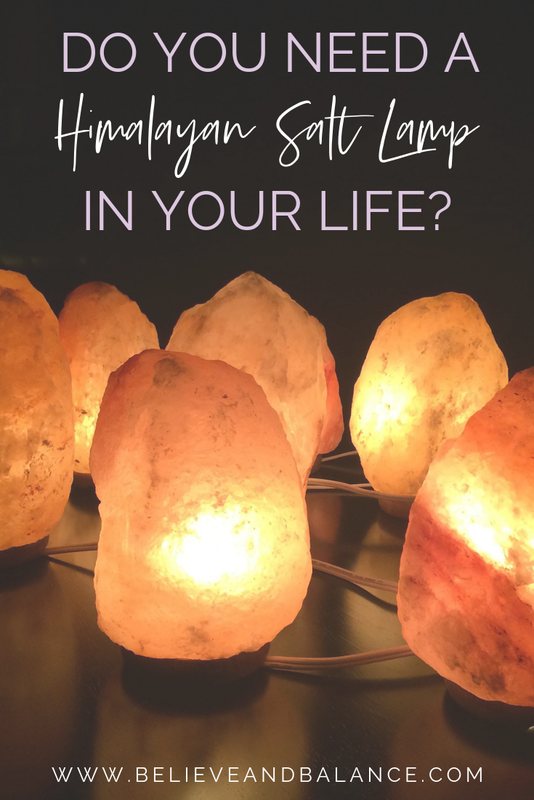 This question will be answered differently by every single person, but here are some reasons to consider adding a Himalayan Salt Lamp to your home or office. While that may not seem big, it is. How many times have you been stumbling around in the middle of the night and stubbed your toe or shin? Even just one time is way too many! Instead of a bright annoying night light, consider a Himalayan Salt Lamp instead. They give off a soft warm glow that does a great job at illuminating the room, giving you just enough light to maneuver but not enough light to hurt your sleeping and just "waking up" eyes. Feel like you just cannot get a good nights sleep? Try placing a Himalayan Salt Lamp in your room. (it's worth a shot, right?!) The warm glow and calming effect have been said to help induce a better night's sleep than other light methods. And who knows...you may just find that the salt lamp calms you enough that you drift away effortlessly into one of the best night's sleep ever! Helping to calm yourself is just one of the possible benefits of a Himalayan Salt Lamp! One other big reason that many people love them is that they are friendly to the environment as well! Leaving them on and using them uses less electricity than other light sources making it a less drain on resources and your electricity bill as well! When it comes to deciding if a Himalayan Salt Lamp is right for you and your home, decide what you are hoping to get out of it first. Is it for comfort, light or to try to help purify the air? Next, always do your own research to draw your own conclusions. There are MANY different companies out there that sell salt lamps, and not all are created equal! Educate yourself on the benefits of each and every one, and find one that suits what you are searching for. The more that you can educate yourself, the better results you will have with the Himalayan Salt Lamp that you choose to purchase!